Blogging is a powerful way for businesses to interact and reach potential clients. Blog marketing which is part of social media marketing is based on educating your readers with your expertise, opinions and your advice. With a blog, you are not selling directly. It’s a powerful business tool that can be used for interacting and branding. Websites are passive where blogs are active. With a blog, you broadcast your message (content) to the web with RSS (real simple syndication) every time you publish a new blog post. With a website, you usually have to wait for the search engine spiders to index new content. 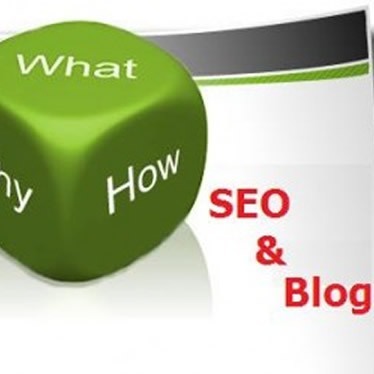 A blog works hand in hand with SEO (search engine optimization) and every blog post you create, should be written with a clear understanding of SEO and how you can target specific visitors to your blog. Here’s a couple of tips that you can use in your blogging strategy. Prepare a list of keywords and keyword phrases from a specific topic that you can use in the title of your blog post, content and any links. These are the words that people will use when searching on the major search engines. This list should describe your blog and target your website to improve the rankings of your site. Search for related blogs and websites you are competing against. Look at the phrases and topics that they are using. Check what is being used in their blog titles and headlines. This can also help you add additional keywords that you can use for your own blog posts. Search for and use a keyword research tool to check the keywords in your list. Always filter for relevancy first and then look for a large number of searches with low competition. This will help you pick the best keywords that you can use. Use your keyword and keyword phrases list and develop a linking plan. Use the keywords in your blog post links that will link to the most relevant web page on your website. If these pages doesn’t exist, create them. This is a powerful method in building search engine rankings.